Sierra Leone continues to impress at the U19 World Cup qualifiers. 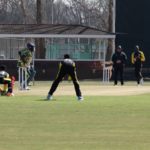 Nine U19 African teams are in Potchefstroom for the 2020 World Cup qualifiers. 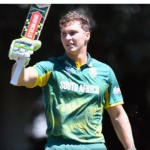 South Africa U19 captain Raynard van Tonder has been given the honour of leading a World Cup U19 ‘dream team’. 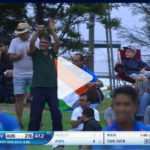 Watch highlights of India’s eight-wicket victory against Australia in the U19 World Cup. Manjot Kalra’s century helped India cruise to a record fourth U19 World Cup title, beating Australia by eight wickets. 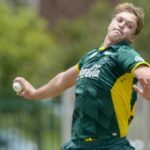 Fraser Jones’ five-wicket haul set up the SA U19s for an eight-wicket win over Bangladesh and fifth place at the U19 World Cup. 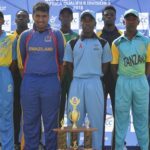 Centuries by South Africa U19s captain Raynard van Tonder (117) and opener Matthew Breetzke (115) set up a convincing victory over New Zealand in the fifth place semi-final of the U19 World Cup. Despite a fighting stand by Wandile Makwetu, Pakistan beat the young Proteas by three wickets in the quarter-finals of the U19 World Cup. Raynard van Tonder’s team are looking to maintain momentum and finish the group phase of the U19 World Cup at the top of their group. 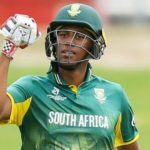 Wandile Makwetu’s 99 set up the SA U19s’ 76-run World Cup victory over the West Indies, amid a rules storm. 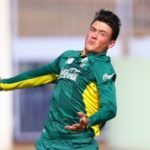 A carefree century from captain Raynard van Tonder set South Africa U19 on their way to a 169-run win over Kenya in the U19 World Cup.